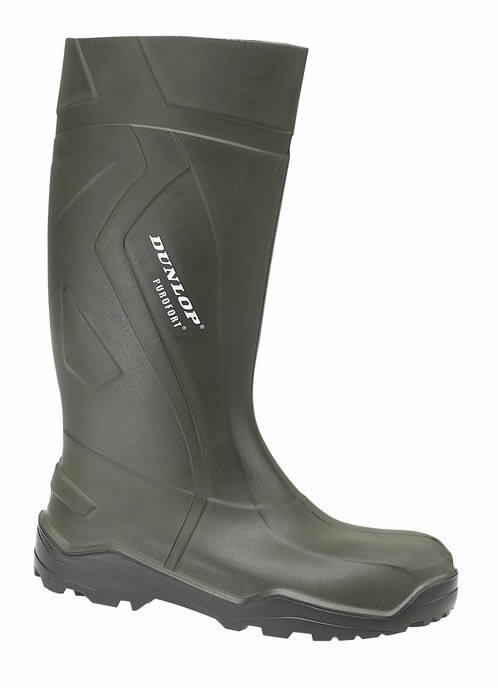 A durable and hardwearing Purofort+ Wellington for a variety of farming applications. Purofort material technology keeps you insulated down to -20°C, while the cushioned footbed offers comfort for all day wear. A traction insert improves grip. Contoured upper for a great leg fit. Roomy and wide toe area. Easy clean tread for practical farm use. Resistant to Minerals, animal & vegetable oils & fats, disinfectants, manure, solvents and various chemicals.